Outstanding Sillimanian makes it to Marquis Who’s Who List. Dr. Dely P. Go, 2013 Outstanding Sillimanian Awardee, has been cited in the Marquis Who’s Who list as a 2019 – 2020 Lifetime Achievement Awardee. Who’s Who Lifetime Achievement Award recognizes individuals who have achieved greatness in their industry. Dr. Go was given the award for her career longevity, philanthropic endeavors, and lasting contributions to society. Out of 1.5 million biographies submitted, only a small percentage had been selected for the Albert Nelson Marquis Lifetime Achievement Award. Dr. Go is Chief Executive Officer of AVTECH Institute of Technology, a company based in New Jersey that provides practical training to Information Technology and medical professionals, offering courses to train Licensed Practical Nurses (LPN) and, eventually, Registered Nurses (RN), among others. 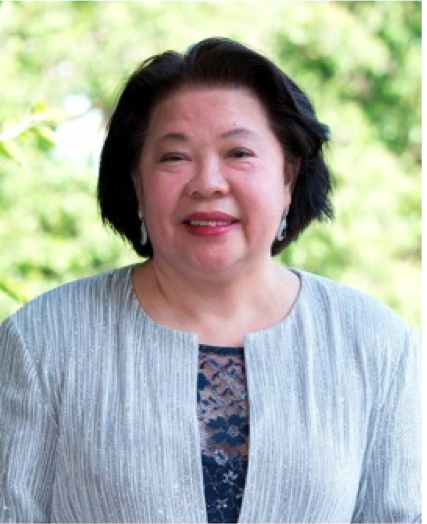 Dr. Go’s achievements include: Inductee, Albert Nelson Marquis Lifetime Achievement (2018); Nominee, DAISY Award For Outstanding Nursing Faculty, William Paterson University (2015, 2016); Most Outstanding and Distinguished Award, Fairleigh Dickinson University (2014); Woman of Peace Award, Women’s Federation for World Peace (1999); Outstanding Sillimanian Award in the field of Nursing Entrepreneurship 2013, Silliman University, Philippines; Empowerment Award, Philippine Fiesta USA; New Jersey’s 50 Best Women in Business, NJBIZ; and Nurse Recognition Award, New Jersey League of Nursing (NJLN). Dr. Go earned her Bachelor of Science in Nursing degree from Silliman University in 1978 and is an active member of the Silliman University Alumni Association, New York-New Jersey Chapter.